CedarCrest® features blended, consistent colors and an upgraded medium profile with two full layers of premium materials and an overlay for a striking dimensional appearance that coordinates seamlessly with Landmark®, Landmark® PRO, Landmark® Premium, Landmark® TL, Presidential Shake®, Presidential Shake® TL, Presidential Shake® IR, Highland Slate®, and Highland Slate® IR shingles. 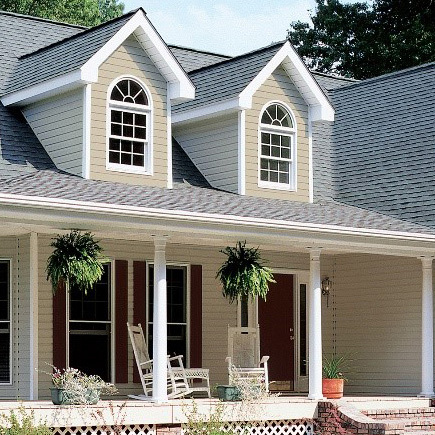 Raised Profile: The thicker, richer appearance accentuates the roof lines making for a more attractive finished look. Multi-Layer Design: Provides extra protection at critical stress points on the roof. Blended Color Technology: Many competing accessory products provide a simple blend color tone. 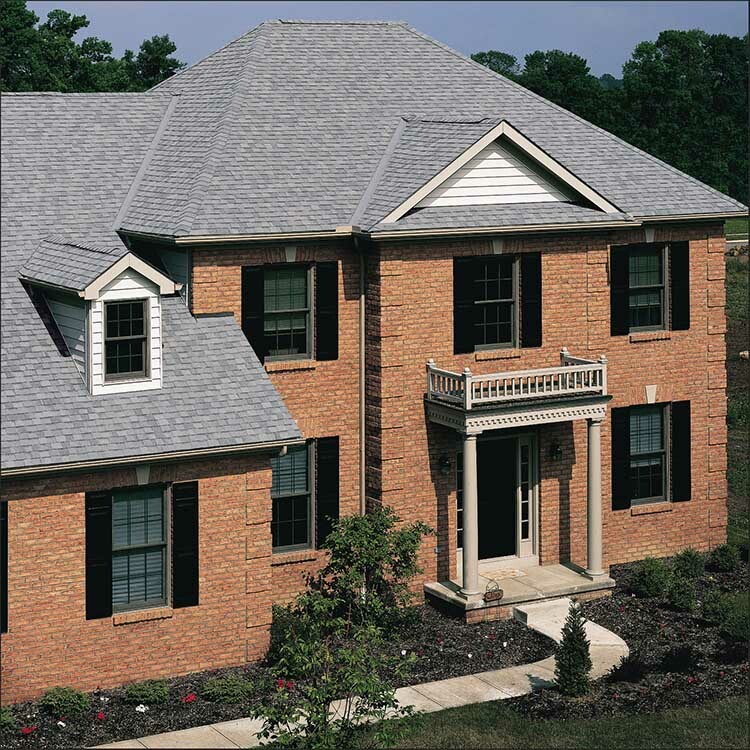 Cedar Crest accessory shingles have distinctive granule blends on the surface designed to complement the roof shingles. Superior Sealant Performance: An aggressive adhesive strip forms a strong bond to protect against rain and wind damage. Algae: Protects against stains caused by algae. Fire: Certified to meet UL 790 Class A, (ASTM E108 Class A) standards and ASTM D3018 Type 1. Wind: UL certified to meet ASTM D3161 Class F standards. UL 997 wind resistance. Tear: UL certified to meet ASTM D3462. CSA standard A123.5-98 (&-05). Dimension (overall): 12" x 36"
Separated into individual pieces: 12" x 12"
CedarCrest® Hip and Ridge Accessory Shingles are designed specifically for use with Landmark®, Landmark® PRO, Landmark® Premium, Landmark® TL, Presidential Shake®, Presidential Shake® TL, Hatteras® and Highland Slate® shingles. Applying a roof system correctly is essential to the warranty and performance of the roof. Please refer to the installation instructions for complete details. Available in both English and Spanish. 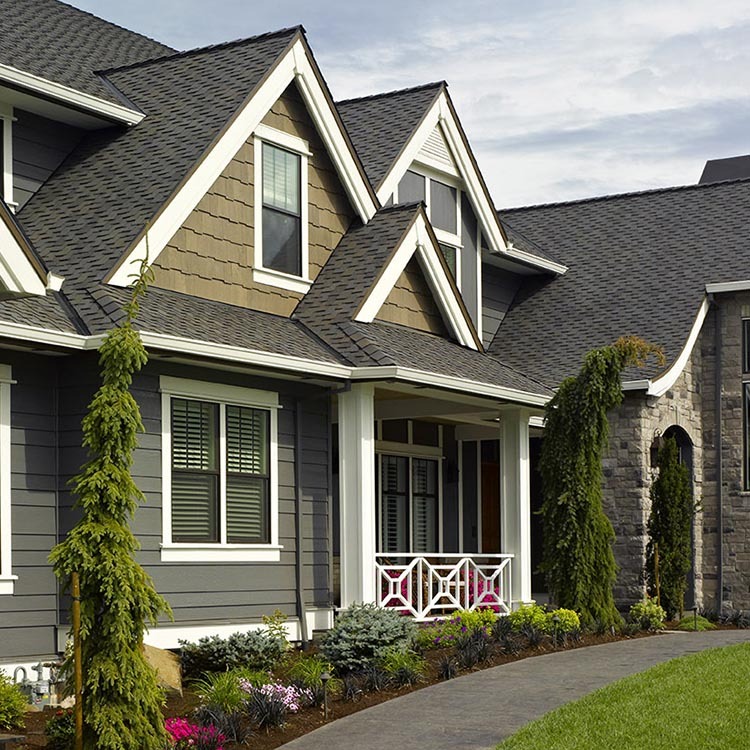 CedarCrest has a limited warranty against manufacturing defects that is identical to the warranty of the CertainTeed field shingle with which it is installed. Your entire roof is supported by CertainTeed, the most trusted manufacturer of quality building products. See CertainTeed's Asphalt Shingle Products Limited Warranty for specific details. CedarCrest® asphalt roofing shingles are available for Export. Please review the related product brochures for additional information.